Fine art (or “painterly”) photographic portraits are one of the more rare photography services, offered by some portrait photographers. (Like me!) These sessions are perfect for clients looking for timeless images that can be displayed in their home like an extravagant painting. 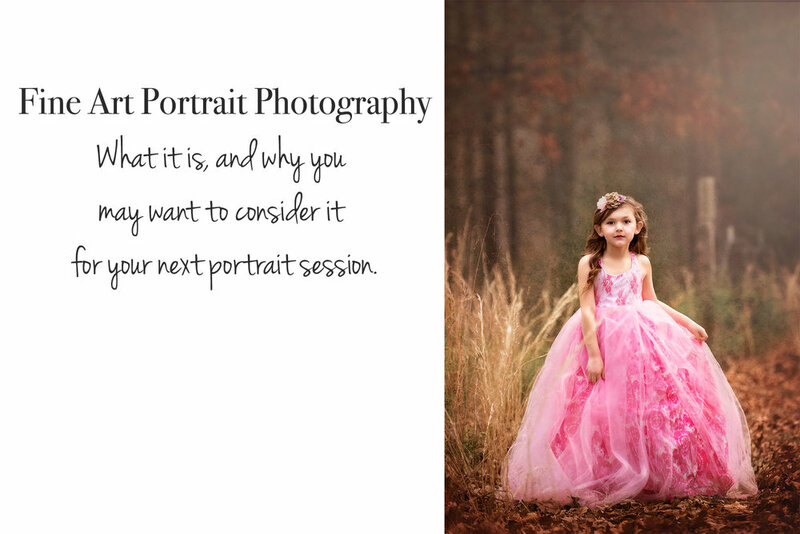 While these formal portraits may not be what you choose for your yearly family photos, they’re perfect for special occasions, or to capture your little prince or princess as they grow. When you choose a fine art portrait session, you’ll recieve full access to my client wardrobe, and I’ll personally style and plan your session from top to bottom. You may choose to have some photos taken in “normal clothes”, then take your formal photos after. Since these sessions come with 15 traditionally edited images, and 5 fine art edited images, that’s something that can absolutely be accommodated! And don’t worry about having to change on-location- a dressing tent is provided for these sessions. Fine art images are created through meticulous post-processing. Paint-like texture, color, and detail are added to a portrait until the image reaches artistic perfection. Clients who choose fine art imagery for their session also recieve a heritage fine art print of an image of their choosing. These are printed on incredible, museum-quality paper, then mounted to secure their longevity. These mounted prints are then placed in handcrafted wood frames, and ready to be proudly display in your home. Classic portrait sessions are always wonderful, and I don’t know if I truly prefer one style over the other. They’re both so vastly different from one another. The decision ultimately comes down to the option that will best fulfill what you most desire in your portraits. If you’d like to reserve a session with Rafter T Photography, or have any questions regarding the services I offer, please contact me!